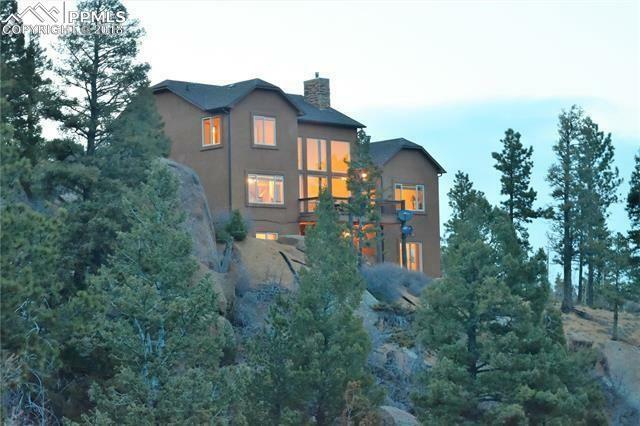 Wonderfully constructed custom home in the mountains. 2x6 exterior walls, high end windows, brand new exterior stucco, newer carpet newer paint, newer light fixtures, gourmet downdraft range, superior floor plan with million dollar views, whole house generator. This is the most quiet and peaceful home and location. Steps from Pikes Peak National Forest and trails.